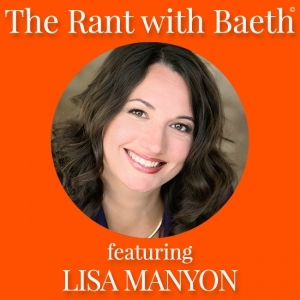 Today, we are going to talk all about MARKETING with my guest, Lisa Manyon. Lisa is The Business Marketing Architect and President of Write On Creative. She pioneered the simple 3-step “Challenge. Solution. Invitation.™” framework to create marketing messages with integrity with a focus on PASSION points instead of pain points. Her content strategy plans are known to help create million-dollar results. Lisa’s philosophies are featured in Inc. Magazine, and multiple #1 international bestselling books including Wonder Women: How Western Women Will Save the World. On today’s show, Lisa gives us some extremely practical and healthy marketing techniques. I think you’ll love it. Today my guest, Celia Cortes, joins me to talk about how your safety is your responsibility. In light of the school shootings and the spike in terrorism and data breaches, I wanted to take an opportunity to dig into why this is happening. Celia is a certified forensic interviewer. She’s also a licensed private investigator and an interview and interrogations instructor. With over 16 years experience in corporate security, investigations, and public safety, Celia’s experience ranges from international financial institutions to educational institutions. In 2016, Celia opened Seva 6 Security Consulting. As an entrepreneur and a professional speaker, she is known for her direct, “don’t wait for someone else” approach. 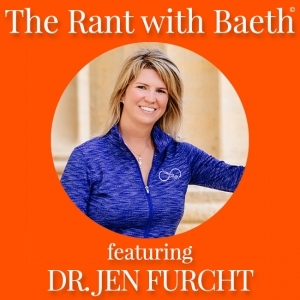 47 Dr. Jen Furcht – Refusing to Do Your Inner Work? Try This. My guest today, Dr. Jen Furcht, joins me on today’s show to talk about why you might be resisting deep healing work within yourself. Known to some as the “Indiana Jones of Spirituality”, Jen has traveled the world and she has learned how to integrate both eastern and western aspects of healing. 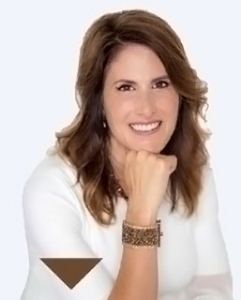 Dr. Jen Furcht is a Master of BioEnergy and an intuitive coach. Listen in as she brings her expertise and amazing insights to today’s show. https://baeth.com/wp-content/uploads/2018/06/Dr.-Jen-Furcht-Episode-Art-The-Rant-with-Baeth.jpg 650 650 Baeth Davis https://baeth.com/wp-content/uploads/2019/02/Baeth-logo-2019-a.png Baeth Davis2018-06-28 04:00:542018-06-28 06:48:4647 Dr. Jen Furcht - Refusing to Do Your Inner Work? Try This. 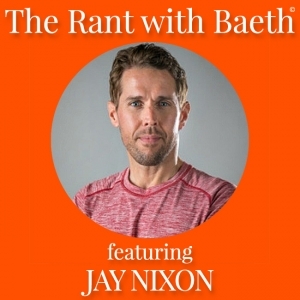 Today we are going to talk about your BIGGEST ASSET and why you neglect it so much with my guest, Jay Nixon. Jay is a highly sought after celebrity nutritionist and fitness expert. He is the creator of and the author of the book The Overweight Mind. I’m so excited for Jay to share his expertise as we talk about taking care of yourself, your mindset, losing weight, and much more on today’s show. 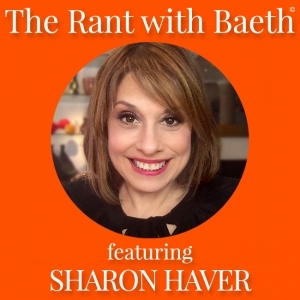 How you show up is what you attract, and today we are going to rant all about that with my guest, Sharon Haver. Sharon helps entrepreneurs stand in their star powers and get opportunities that other people only dream about. She believes that positioning is the new currency and that you deserve to be the best at being you. Appearing in the media over 1,000 times as a style expert and personal brand strategist, Sharon has over 15 years as a New York photography stylist. She is the host to the “Seven Days to Amazing” podcast. Tune in to today’s show to learn more about upgrading the way you show up. 44 Chris Atley – Coaches Shaming Coaches… What Gives…? Today Chris Atley joins me on the show to talk about coaches shaming coaches. If you haven’t heard, the coaching industry is at an all-time high, and Chris is one of the best. Featured on various media outlets such as Bloomberg Radio, Fox, ABC, Manhattan Neighborhood Network, and Saturday Morning TV Foundation, Chris is an award-winning coach, speaker, and bestselling author. Tune in as we talk about why coaches shame other coaches, how and why we should be more honest with ourselves, how fear gets in our way, and much more. 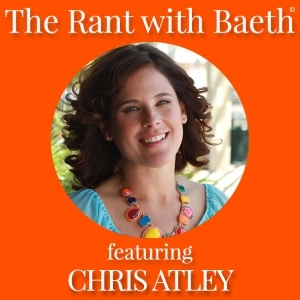 https://baeth.com/wp-content/uploads/2018/06/Chris-Atley-Episode-Art-The-Rant-with-Baeth-1.jpg 650 650 Baeth Davis https://baeth.com/wp-content/uploads/2019/02/Baeth-logo-2019-a.png Baeth Davis2018-06-07 04:00:002018-06-07 06:22:3944 Chris Atley - Coaches Shaming Coaches… What Gives…? Today we are looking at the missing pieces of MANIFESTING what you want with the husband and wife team, Jane and Phillip Mountrose. 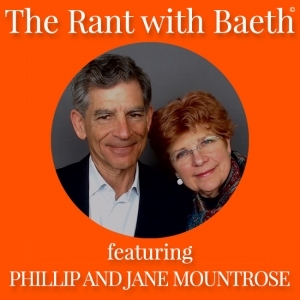 Jane and Phillip own a business that teaches clients to discover their life purpose and create what they truly want. On today’s show, we talk about what “manifesting” really means, how to create your new reality and reveal your true potential, and much much more. Today’s show is all about why you can’t find good help and how to create a great team with my guest, Noah Hammond Tyrrell. Noah is a high-performance coach for entrepreneurs, and he empowers entrepreneurs to scale their business and their happiness at the same time. He’s built several six and seven figure businesses using his methods. Stay tuned to hear more from Noah about how to build your dream team and hire the help that makes your business succeed in the way you’d always wanted. Listen in for a special gift that he offers at the end of this show. Who will thrive long-term in this world? 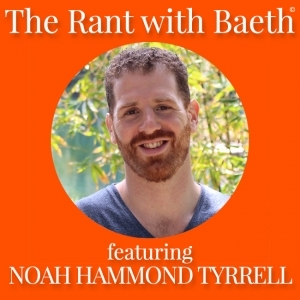 Today’s rant is all about ABUNDANCE with my guest, Derek Rydall. Derek is a new generation spiritual visionary and thought leader. He’s the author of the Amazon/Barnes & Noble #1 bestselling author EMERGENCE: Seven Steps for Radical Life Change, and his new book, THE ABUNDANCE PROJECT: 40 Days to More Wealth, Health, Love, and Happiness. Join us as Derek and I rant about abundance, the Abundance Principle, why you already have everything you need, and more on today’s show. What will you do when you have enough money? 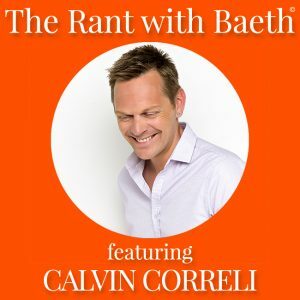 I’m pleased to welcome Calvin Correli back on today’s show! After meeting at a conference, Calvin and I had some very interesting conversations about male/female dynamics. Calvin is the CEO and founder of Simplero, and he’s a business mentor, musician, and podcast host. Today’s show really crosses the gamut of rant topics, including masculine and feminine energies, monogamy, sexual abuse, sexuality, politics, relationships, when I should run for president, and much more. Tune to hear Calvin and I rant about all the things you should be thinking about. Check out Coffee with Calvin!